Today Only Deal – Sigma 14-24mm f/2.8 DG HSM Art Lens for $1,099 at Adorama ! Today only ! Sigma USA authorized dealer Adorama Camera has a hot deal on Sigma 14-24mm f/2.8 DG HSM Art lens for $1,099.00. Currently lowest price online ever. 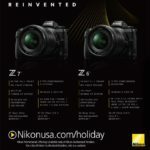 Regular price for this lens is $1,299.00 at B&H Photo. 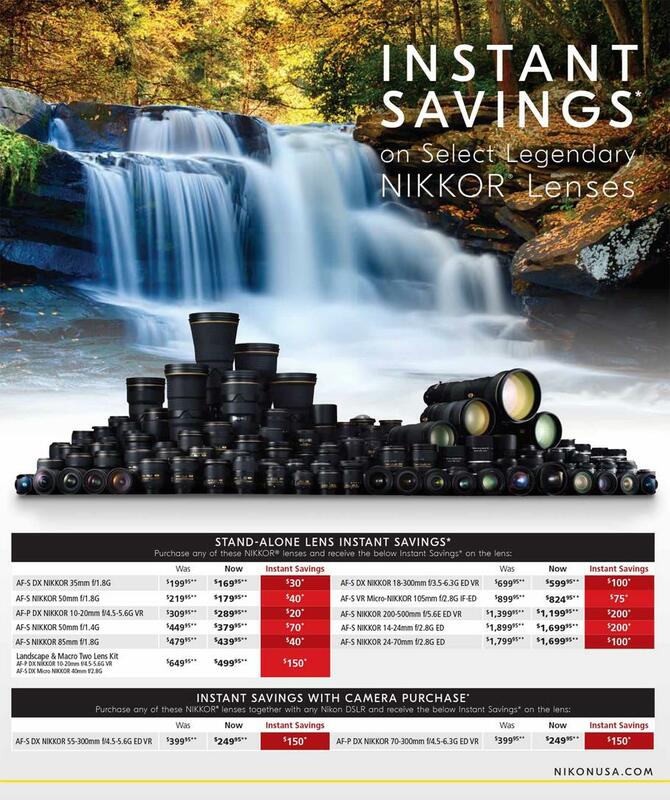 Author adminPosted on December 2, 2018 December 2, 2018 Categories Nikon Deals, Nikon FX Lenses, Sigma LensesTags Sigma 14-24mm f/2.8 DG HSM Art LensLeave a comment on Today Only Deal – Sigma 14-24mm f/2.8 DG HSM Art Lens for $1,099 at Adorama ! Cyber Monday Only: 30% Off on Sony SF-G UHS-II World’s Fastest SD Cards ! 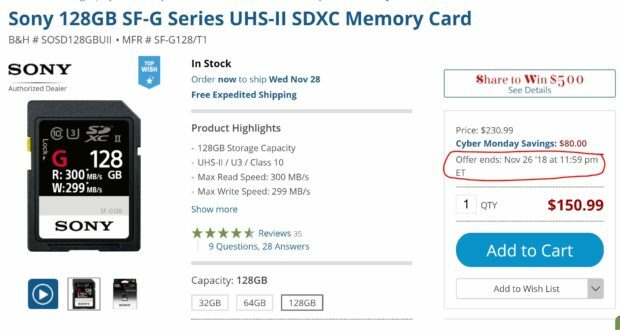 At this Cyber Monday 2018, the world’s fastest Sony SF-G UHS-II SD memory cards now get price dropped again. You can save up to 30% off on these fastest cards at Amazon/B&H Photo Video/Adorama. These cards are best choice for Nikon D850, D500. All these deals will be expired tonight midnight, so order today before deals are expired. 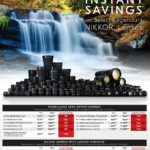 Author adminPosted on November 26, 2018 November 26, 2018 Categories Nikon DealsTags Memory Card, UHS-II SD Memory CardLeave a comment on Cyber Monday Only: 30% Off on Sony SF-G UHS-II World’s Fastest SD Cards ! 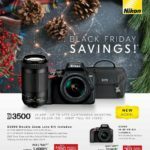 Followed by Black Friday, 2018 Nikon Cyber Monday sale now already live online, you can save up to $1,539 off on select Nikon products, most of deals are same as on Black Friday. Most of these deals are set to expired tonight midnight, so order ASAP before expired. 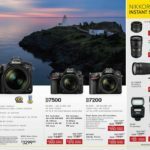 Author adminPosted on November 26, 2018 November 26, 2018 Categories Nikon DealsLeave a comment on 2018 Nikon Cyber Monday Deals now Live ! 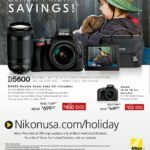 Author adminPosted on November 23, 2018 Categories Nikon DealsLeave a comment on Up to $1,539 Off ! 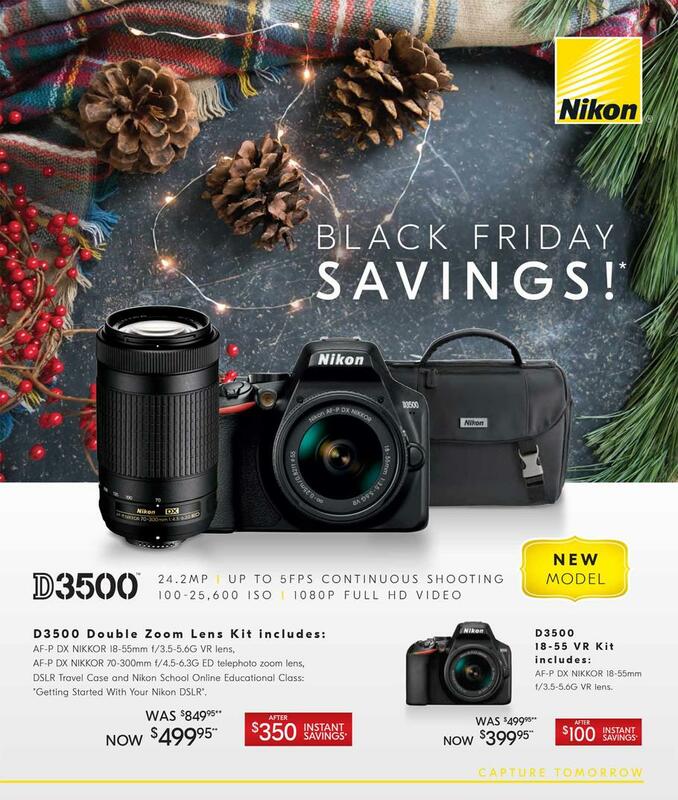 Nikon Black Friday Deals now Live ! 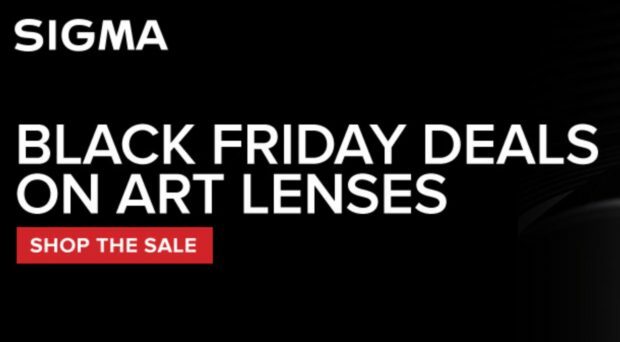 KEH Camera Black Friday sale now live. You can get 35% Off on Accessories and 15% Off Everything ! You must use promo code “BLFR11A” at checkout to see the discounted price. This sale excludes “New” and “Like New” items. Sale will be end of November 25th, 2018. Super Hot 20% Back Rakuten Rewards ! 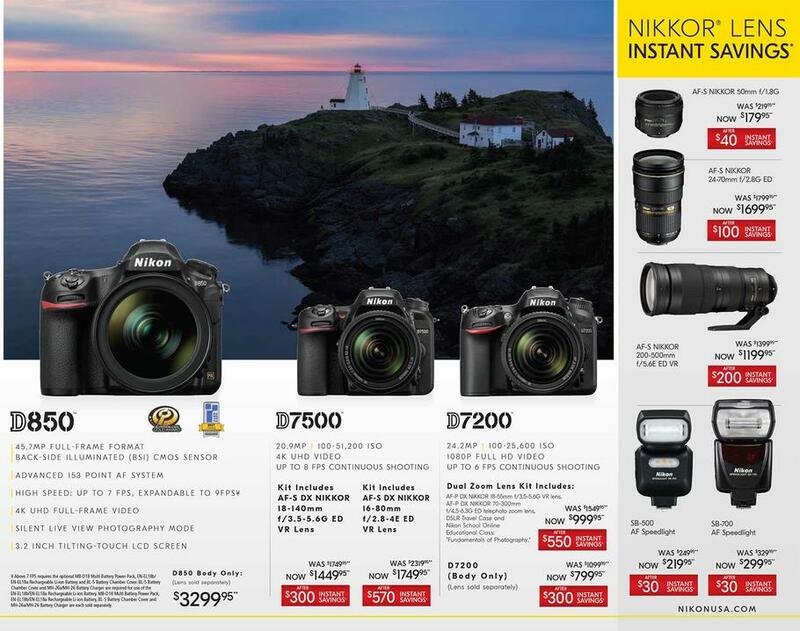 D750 w/ Grip for $1,118, Z7 Kit for $3,198, D5 for $5,198 & More (Authorized Dealers) ! 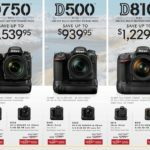 Author adminPosted on October 29, 2018 October 29, 2018 Categories Nikon D500, Nikon D750, Nikon Deals, Nikon Z7 Deals & Cheapest PriceTags RakutenLeave a comment on Super Hot 20% Back Rakuten Rewards ! 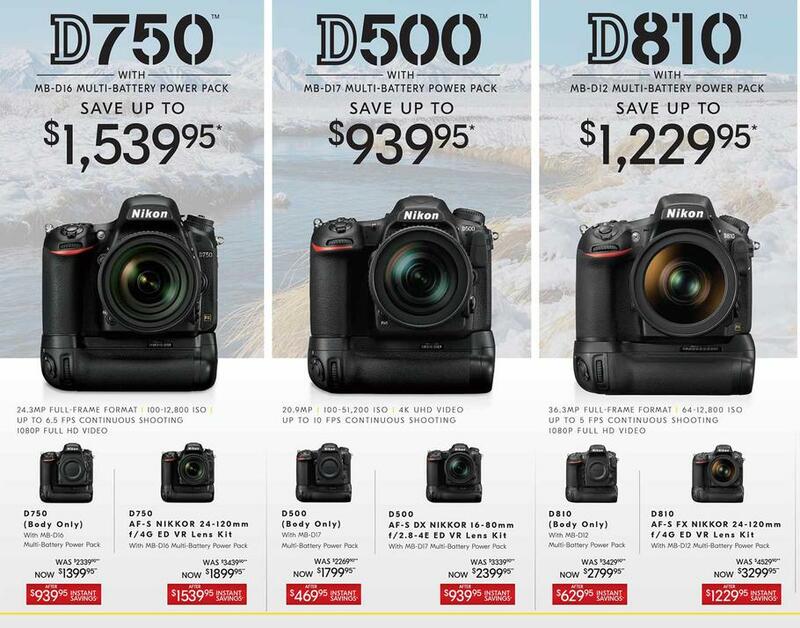 D750 w/ Grip for $1,118, Z7 Kit for $3,198, D5 for $5,198 & More (Authorized Dealers) ! 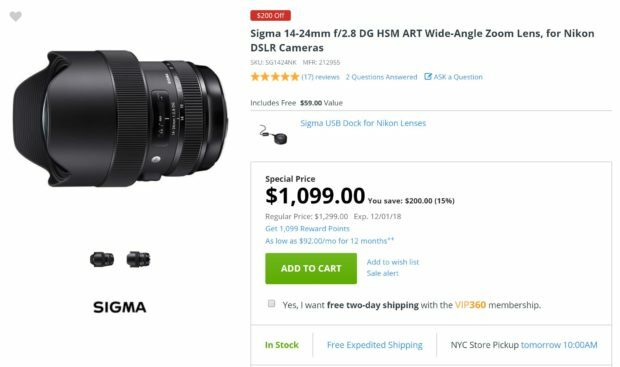 Super Hot Deals – 10% Off Everything at eBay, Nikon D750 w/ Grip for $1,297, Sigma 14-24mm f/2.8 for $899 ! 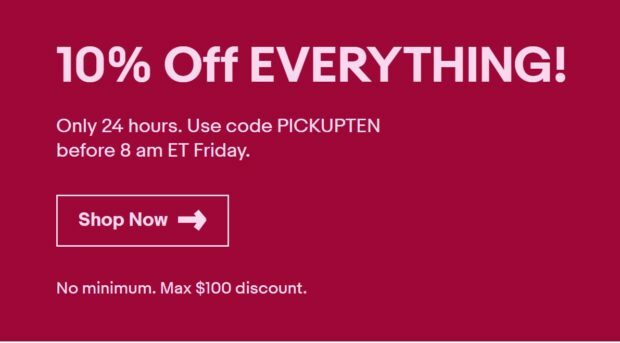 10% off on everything at eBay (Up to $100 Off), use coupon code “PICKUPTEN“, until 8am ET, Tomorrow. 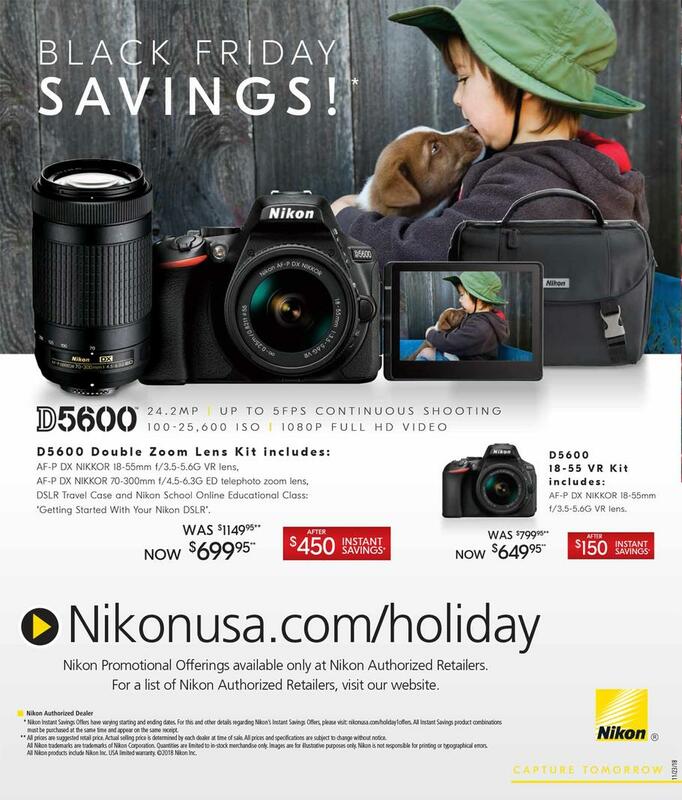 This means you can get up to $100 off for any Nikon cameras & lense from Nikon Authorized dealers such as Adorama, BeachCamera, Focus Camera and more (Don’t forget use promo code PICKUPTEN at Checkout). 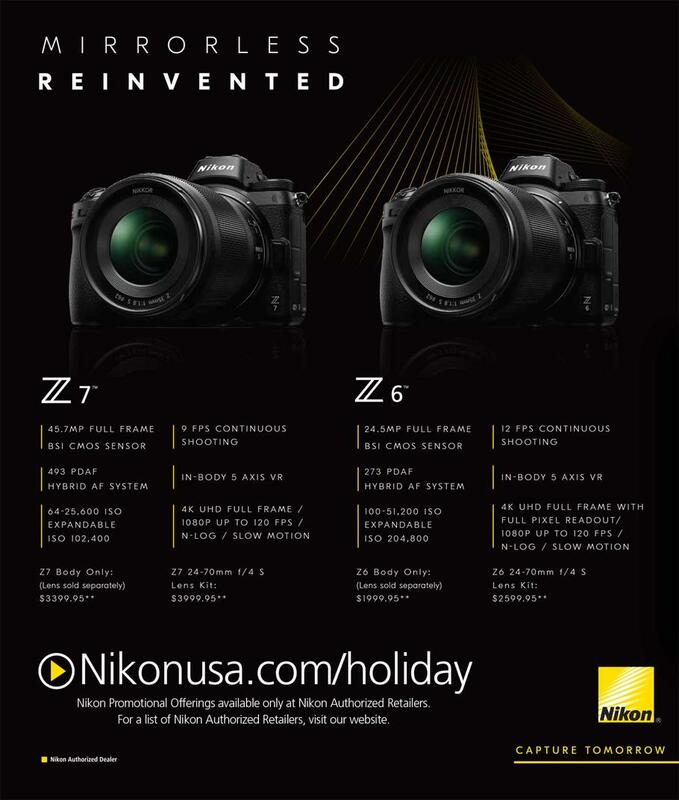 Author adminPosted on October 25, 2018 October 25, 2018 Categories Nikon D500, Nikon D750, Nikon D810, Nikon Deals, Nikon FX Lenses, Sigma LensesTags eBay Deals, Sigma 14-24mm f/2.8 DG HSM Art LensLeave a comment on Super Hot Deals – 10% Off Everything at eBay, Nikon D750 w/ Grip for $1,297, Sigma 14-24mm f/2.8 for $899 !